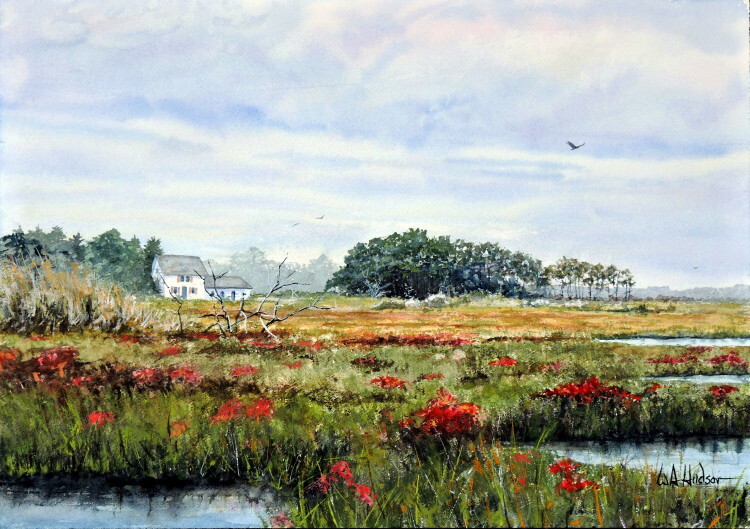 I was fortunate to be on the Eastern Shore of Virginia in October when the marsh becomes spectacular in red and green. This is the backyard of Franklin City, a once prosperous fishing village where my father was born, but is now a near ghost town. There was a huge fire in 1896, the railroad left after roads were built to Chincoteague Island, the oysters died, and the marsh grew deeper after severe storms.